I'm always looking for a new project or crafty skill to work on. I've picked up modern scrapbooking, weaving, and most recently, cake decorating. Now, I'm no professional baker, but over the past few months I've really enjoyed the process of baking cakes, making icing, and decorating cakes! 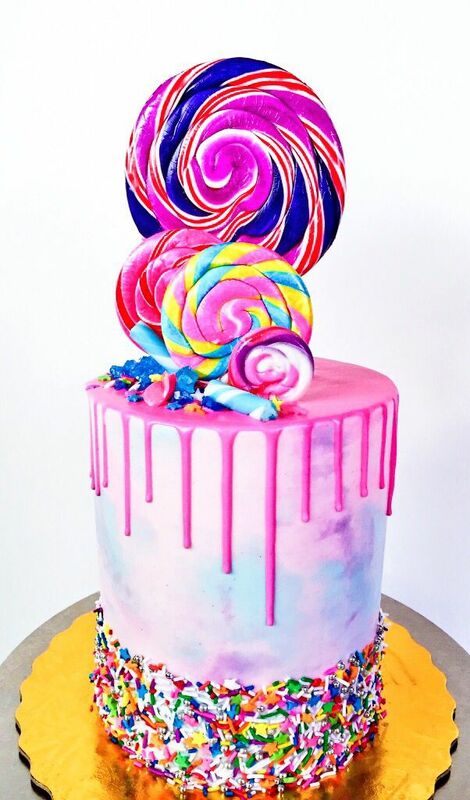 The cake decorating style I'm interested in is the Drip Cake style. I'm not so interested in the fondant look. The baking / cake decorating world is limitless! So many flavor combinations, colors, and textures. It's been a fun world to explore. Here are some cakes that are beautiful and are making me drool! I thought I'd share them with you! How fun are these! I'm ready to experiment with colors and over the top embellishments. Now, I just need some reasons to make these pretty cakes. If you're in need of a fun cake for a party or just for yourself (no shame!) and would like to work with me, let me know! Attribution: 1. 2. 3. 4. 5.